After debuting at New York Comic Con 2017, Grey Matter Art is set to release later today this sensational new Marvel screen print “The Amazing Spider-Man” by Matt Ferguson. Even better still, it freaking glows in the dark! 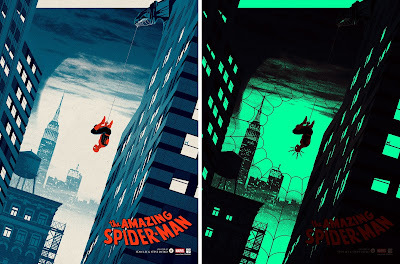 This officially licensed Marvel screen print measures 18”x24”, features a glow in the dark layer and comes hand numbered. Limited to 300 pieces, collectors can purchase it at the Grey Matter Art online store today, Thursday, October 12th, at 1pm EST for $45. 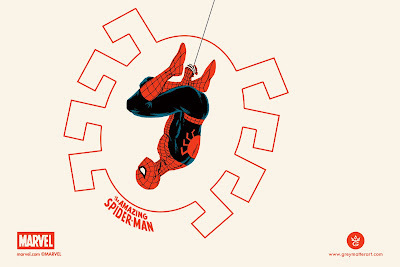 Plus, randomly selected orders will receive a free Spider-Man 6”x9” handbill!